The Priestly Blessing, called Birkat Cohanim in Hebrew, draws crowds from across Israel and around the world and is held three times a year during the Jewish holidays of Sukkot , Passover and Shavuot. Kohanim, or priests, lead the communal prayers by chanting three consecutive verses of the Torah one word at a time, in a special singsong reputedly dating back to the Temple era itself. 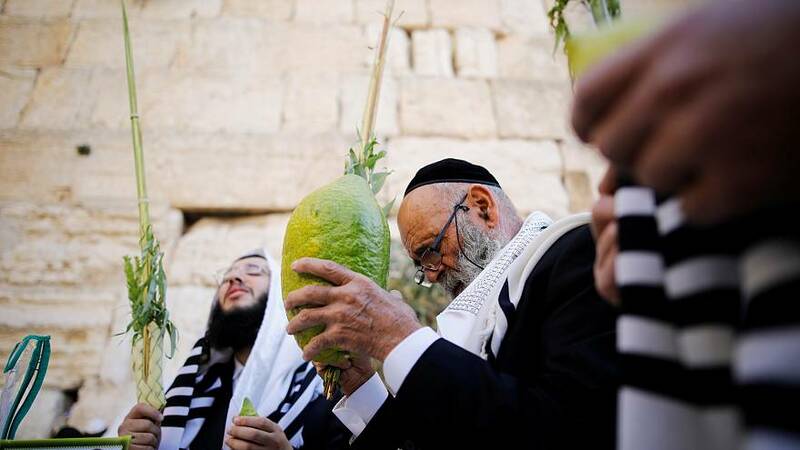 The site is sacred for Jews, treasured as the spot where biblical King Solomon built a temple and where a second temple was razed by the Romans in 70 A.D.
During the holiday of Sukkot, special blessings are cited over a bouquet of greenery and fruit at prayer time. The bouquet contains the symbolic ‘four species’ – a “Lulav” (palm frond), Etrog (citron) and branches of willow and myrtle. The mass prayer was also attended by the Western Wall rabbi and U.S. ambassador to Israel, David Friedman.